Since making that SoCo Caramel Popcorn last week, I’ve really been on a booze-infused recipe kick. This past Saturday, The Brit and I perused our local Farmer’s Market and I zeroed in on some beautiful sweet cherries right away. Now, I know you’re supposed to use Sour Cherries in traditional pie filling, but I like Sweet Cherries just as much. I grabbed two pints quickly, forking over my $6 happily. One beautiful pie was on its way to being. Now, I’ve never made pie filling before. So while I was doing research into what all I needed to include, I first pitted all the cherries using my handy dandy Oxo Cherry Pitter (I love this thing, it’s so fun and satisfying!) and then left them to macerate in a bowl with a few pals. I started with 2 tablespoons of sugar. Then I thought, “What the heck”, and threw in a 1/4 cup of vanilla infused Southern Comfort. (I started making my own vanilla with the leftover bottle of Southern Comfort from the popcorn, but it hasn’t been sitting long enough to be *vanilla*). The final bit of inspiration came when I opened the spice cabinet and spotted Lemon Extract. Half a teaspoon later, the scent coming from the cherries was boozy, bright, and perfect. I let that set up for about half an hour, and then started to make the actual filling based on a few different recipes. Use whatever pie crust you like (store bought, your favorite recipe, whatever takes your fancy). You can use this filling in empanadas, fried handpies, and even cobbler. Combine cherries, booze, lemon extract, and 2 tablespoons of sugar in a medium sized bowl. Allow to macerate for about half an hour, until the cherries have broken down enough that you now have half a cup of liquid (instead of the initial 1/4 cup of SoCo you started out with). In a medium saucepan, combine 3/4 cup of the remaining cup of sugar and corn starch, stirring to combine and distribute. Pour the liquid from the cherries directly into the pan, setting aside the cherries for now. Add 1/2 cup of water. Stir continuously over medium heat until the mixture is thickened and bubbly. Cook for 2 more minutes to allow the mixture to set up properly. Remove from heat and add the remaining 1/4 cup sugar, cherries, butter, nutmeg, and salt. Stir again until well combined. Allow to cool slightly before using. Pour over vanilla ice cream for an immediate treat. What a perfect pie for the 4th of July! I’m also in love with boozy sweets and LOVE your view on adding more! he he! I’m obsessed with my OXO cherry pitter too… now if I could only get some sour cherries into my kitchen! Think I could plant a tree in my backyard? I am totally craving cherry pie now. I love that you call it booze! I’ve got to make my vanilla too. I am such a sucker for cherries, this pie filling sounds divine! i am loving cherries lately, but have a hard time tracking down the sour ones. 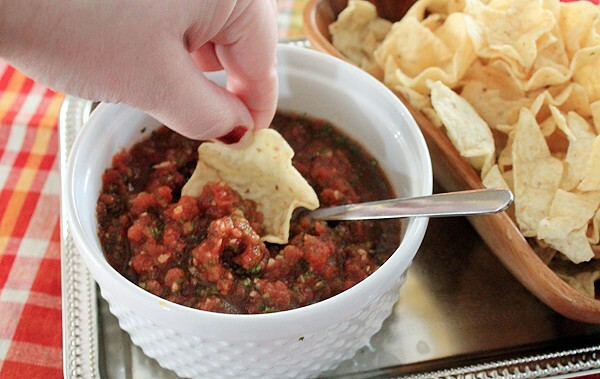 this would be a great way to make it with the sweet ones…and make it boozy. This looks delicious, and just in time for cherry season. Thanks for the recipe. You had me at boozy. I’ll bet this would also be great with amaretto. Mmmm…. is anything better than pie? I don’t think so. Okay, maybe gooey brownies. Good call on the amaretto. That would be a fantastic switch in! Pie and brownies are just about equal in my dessert-fevered brain. Now I want brownies for breakfast! My first feeling I have while reading your recipe, is.. The way to win a man’s heart is through is belly…. I have no doubt you won his! I love cherry pie! This sounds amazing! Keeper! I can almost taste it. 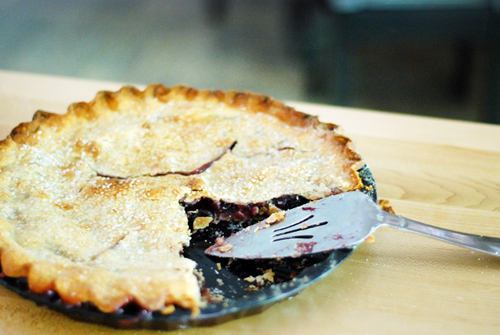 We usually use freshly picked tart cherries for our pie but this really would be best with sweet cherries. 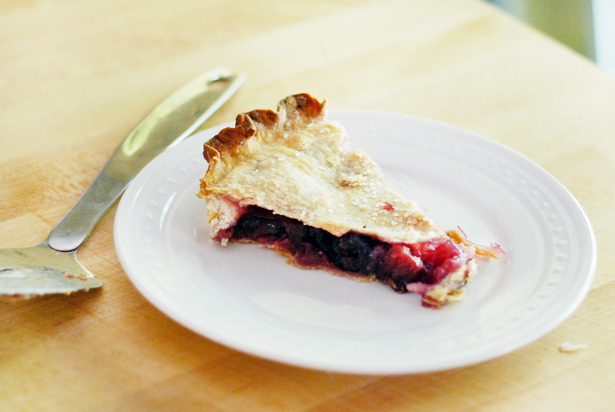 There’s nothing as good as cherry pie–and you just one-upped it. Ahhh. This looks incredible. I’m SO craving pie right now. Two thumbs up, Amber!